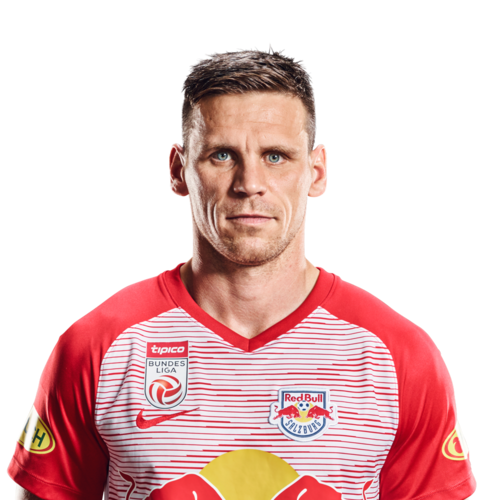 With our great coaching team of the FC Red Bull Salzburg youth department we have been visiting primary schools in the city and region of Salzburg since 2010 und holding a PE lesson for all children. 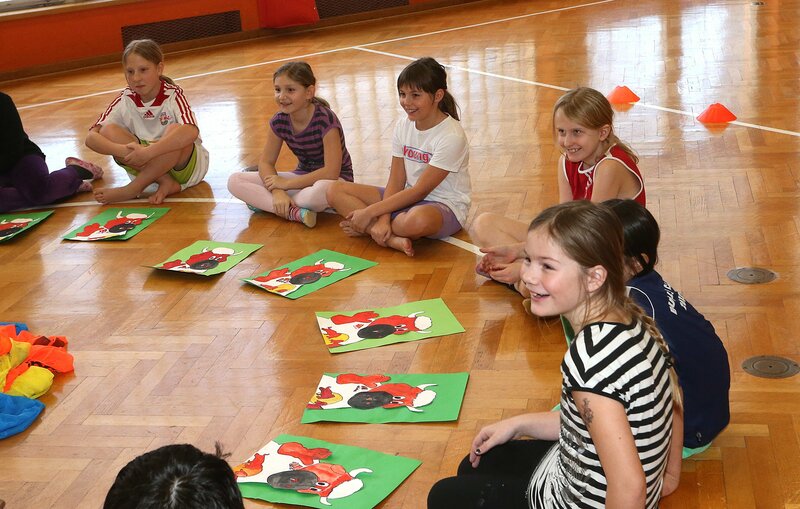 The focus in various exercises is on helping children to have fun while getting active and playing team sports. We regularly bring a professional footballer or two on our school visits, who are available to sign autographs and give valuable training tips. 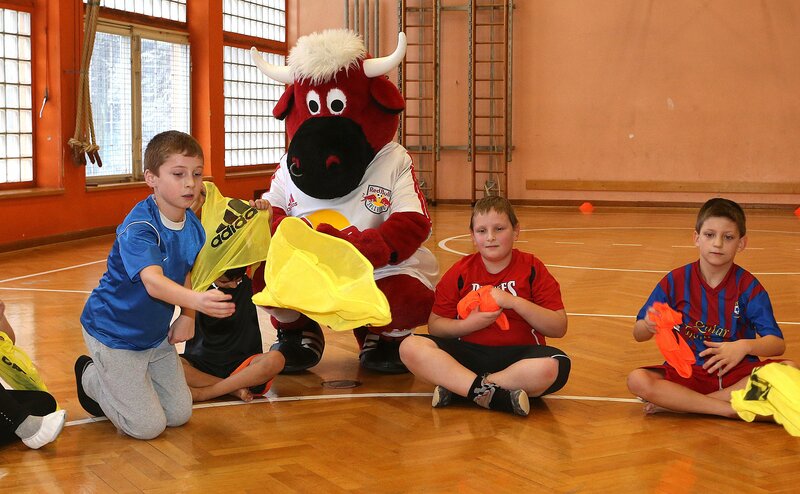 The FC RED BULL SALZBURG IN YOUR SCHOOL project has been a great success ever since 2010. 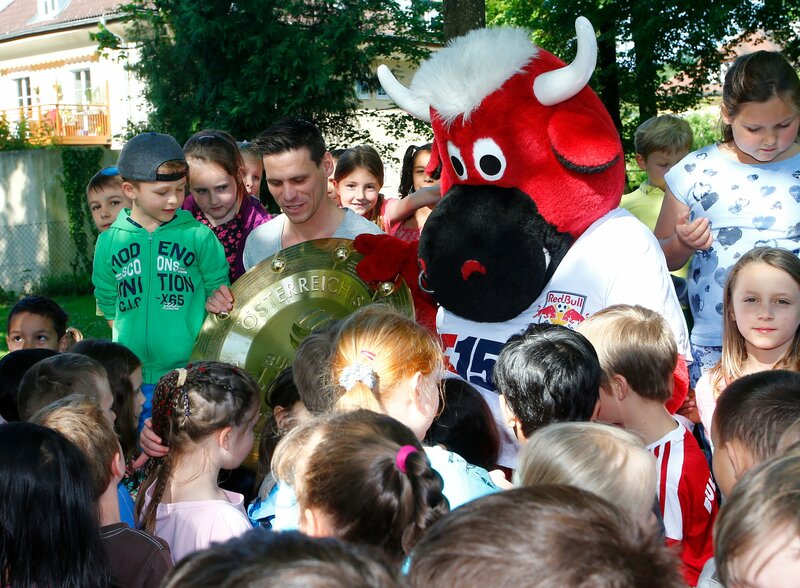 The past few years have seen Jonatan Soriano, Martin Hinteregger, Andreas Ulmer & Co visit a number of schools along with Bullidibumm, the Red Bulls’ mascot. 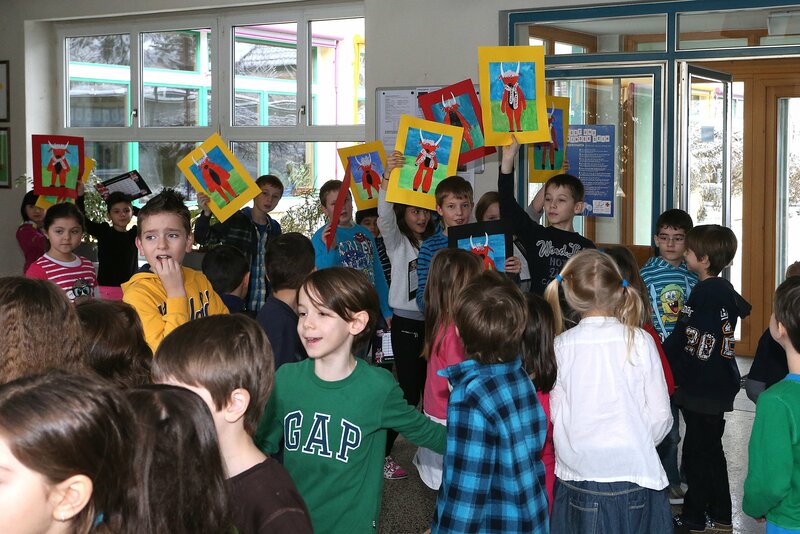 Over the past season, a total of 57 primary schools have been visited in the city and region of Salzburg. 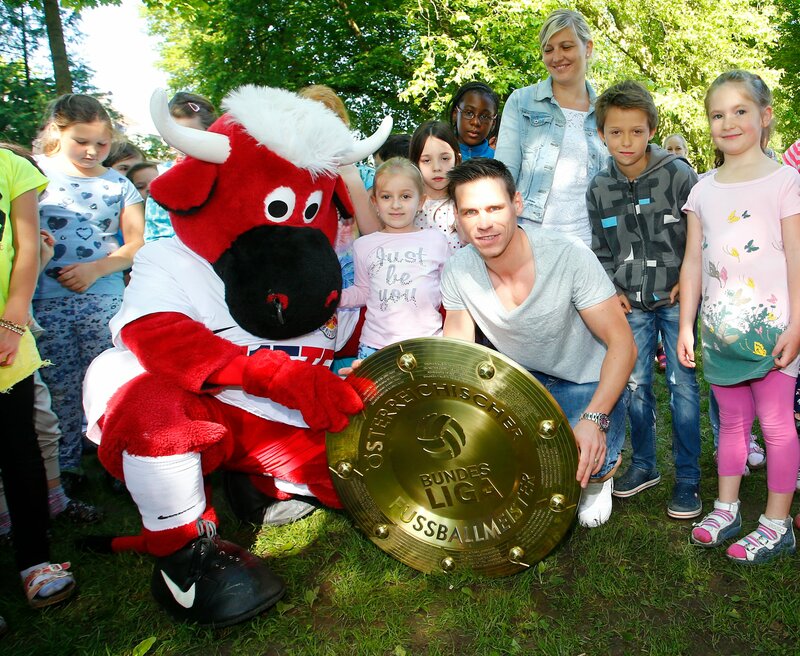 The players have been able to discuss the importance of sport and being active with around 6200 children and their teachers, while football has been played together, coordination fostered and great value placed on the kids enjoying themselves. 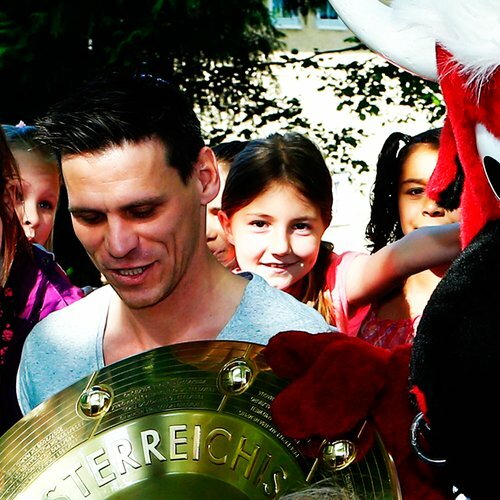 There have also been plenty of souvenir photos taken of the occasions – including with the new Austrian champions’ trophy. 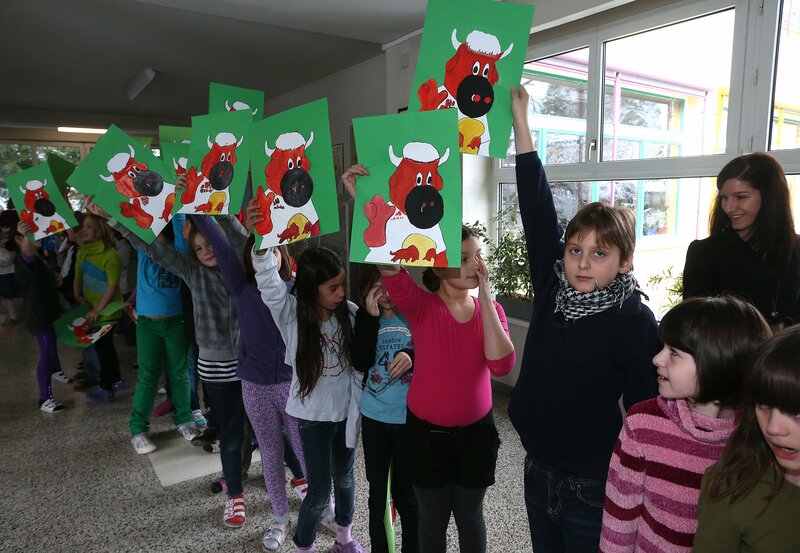 Christoph Leitgeb recently paid a visit to two of our partner schools - the Parsch and Franziskanerinnen primary schools. He clearly enjoyed the trip and made the school pupils smile with the odd anecdote or two. 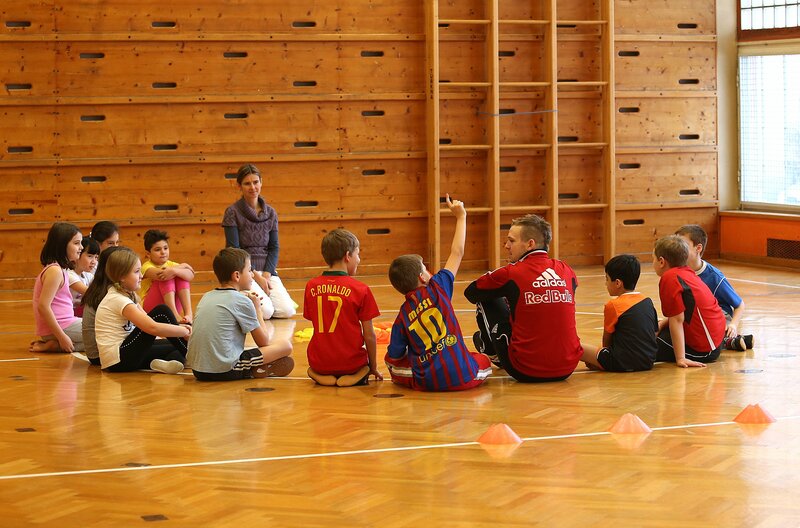 To retain a sustainable presence in the schools and offer children more variety in their future PE lessons, our youth coaches – who have been leading the training exercises at the schools - have been creating training ideas and depositing them for teachers to use. 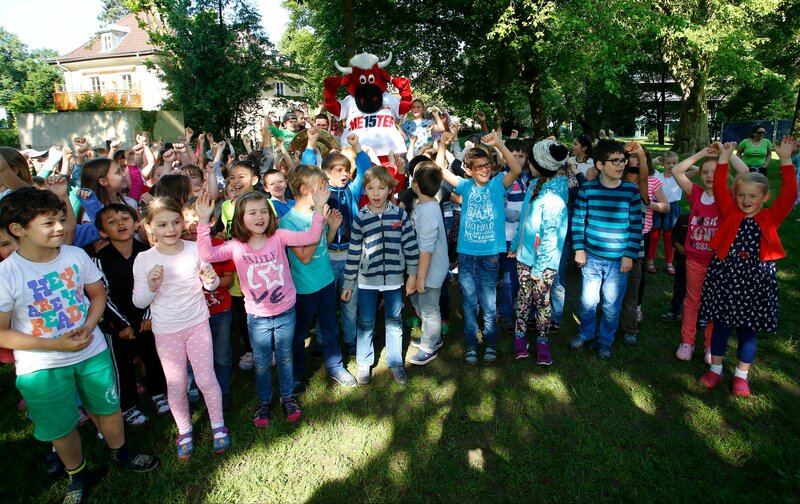 The popular FC RED BULL SALZBURG IN YOUR SCHOOL project is being continued in the new season due to the great demand, and also due to the need to get children and youngsters into sport. 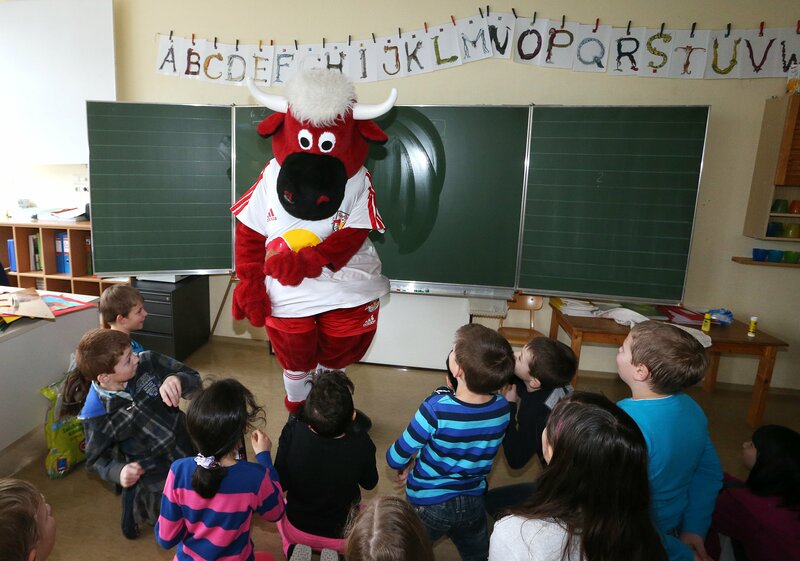 There are plenty more school visits planned for the coming year, which are going to take FC Red Bull Salzburg right across the Salzburg region. 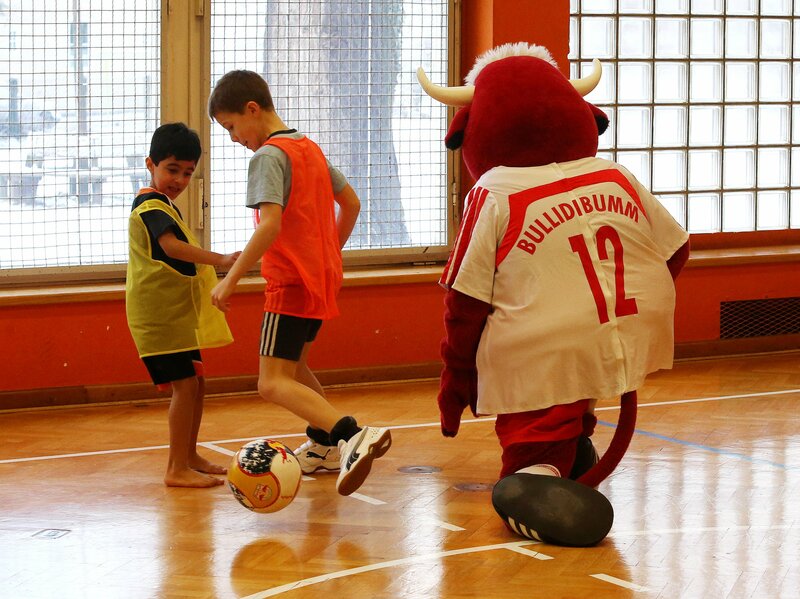 Please just send an email with the 'FC Red Bull Salzburg in deiner Schule' subject line to info@bullidikidz.com. It is great to see how much the kids are enjoying football and getting active. Having fun is particularly important for this age group, of course. That is exactly what we are trying to get across in our visits. 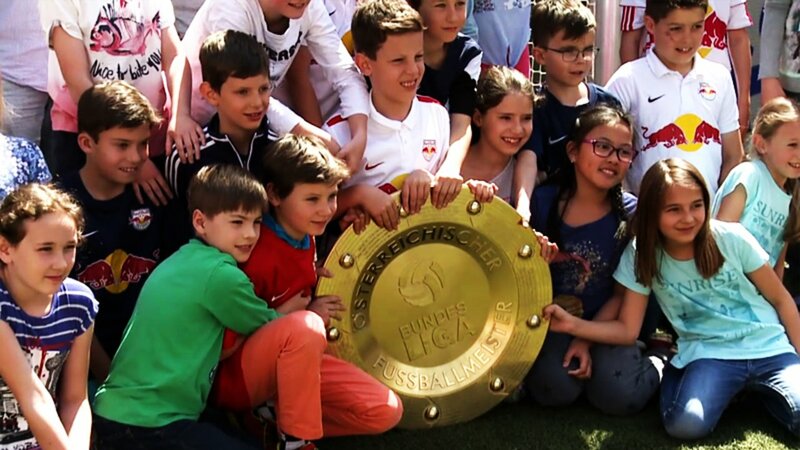 Along with the training sessions, the new Austrian champions’ trophy is a real attraction for the schoolkids, of course.